Products that are poorly designed, manufactured or labeled account for numerous injuries and deaths each year. Working with an experienced injury lawyer is critical when filing a defective product claim. Hales & Associates, A Professional Law Corporation is dedicated to helping Californians who have suffered choking, burns, electrocution, poisoning and other injuries due to dangerous products. A product must be manufactured, labeled, and marketed in accordance with state and federal regulations. If you suffer an injury due to negligence at any of these stages, you may be entitled to compensation. The team at Hales & Associates, A Professional Law Corporation has extensive experience with personal injury cases involving dangerous products, and we are committed to working tirelessly on your behalf. Breach of warranty is based on contract law and doesn’t require proof of negligence or fault on the part of the manufacturer. Hales & Associates, A Professional Law Corporation can help you receive compensation if you are injured or your property is damaged while using a product which didn’t satisfy the terms of its warranty. The responsible party may be held liable due to negligence if you are injured because a manufacturer or seller didn’t exercise reasonable care in the design, manufacture, inspection or testing of a product. 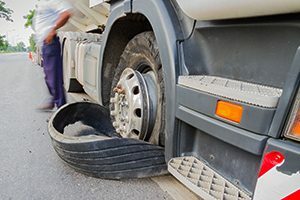 Under the theory of strict liability, the injured party only needs to demonstrate that the product is defective due to design defects, manufacturing defects, or failure to warn of defects that existed prior to the manufacturer’s release of the product. Product liability laws can be complex. More often than not, companies will hire a team of attorneys who specialize in discouraging your efforts to exercise your rights. The team at Hales & Associates, A Professional Law Corporation will protect the rights of you and those you love most. Hales & Associates, A Professional Law Corporation protects the rights of consumers filing product liability claims in Murrieta, Temecula, Wildomar, Menifee, Sun City, and Lake Elsinore. Call us today at (951) 489-3320 to learn more about receiving the compensation you deserve.